If you are in mid-life you may have noticed changes in sleep structure, such as alterations in the quality and quantity of sleep. As we advance in age, we don’t sleep as well as younger adults. Science has yet to determine whether older adults require less sleep or are unable to generate the amount of restorative sleep needed. Normal aging is associated with sleep disruptions that can include a reduced ability to initiate and maintain sleep, earlier bed and rise times and shorter sleep duration, as well as a reduced amount of deep sleep and lighter sleep with more frequent awakenings. With a focus on memory impairment, researchers are exploring underlying neurological mechanisms that may account for age-related sleep disorders, as sleep disruption is widespread among those with neurogenerative dementias. Per a 2017 study published in Neuron, researchers revealed there may be a bi-directional link between disrupted sleep and a more rapid rate of cognitive decline with increased risk of developing Alzheimer’s. The study suggests that inadequate sleep is a predisposing risk factor contributing to degenerative disease processes. 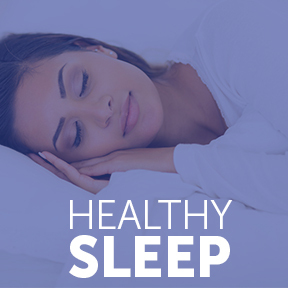 As well, an adequate amount of healthy sleep may present an opportunity for treatment or prevention. As not all older adults suffer the same degree of sleep disruption, aging itself is not the sole determinate of declines in healthy sleep patterns. Daytime napping, chronic pain, depression and frequent nighttime urination, as well as medications and medical conditions can all contribute to sleep disruption. A common feature of cognitive decline is an impaired ability to form new memories. A meta-analysis of self-reported sleep in older adults has established a relationship between poor sleep and the extent of impairment on cognitive and neuropsychological tests, even when controlling for cardiovascular conditions, anxiety, stress, depression and medication history. Growing evidence suggests that sleep disruption mediates the effects of age-related long-term memory impairment, while sleep quality is associated with memory retention. Therapeutic interventions that restore sleep show promise in delivering preventative benefits that may reduce the risk or severity of cognitive decline with aging. New research from the University of Rochester found the depth of sleep impacts the brain’s ability to efficiently clear waste and toxic proteins that accumulate during waking hours. As sleep becomes increasingly lighter, as well as more disrupted with aging, the findings indicate that sleep deprivation can predict the onset of Alzheimer’s and dementia. The study, published in the journal Science Advances, found the slow and steady brain and cardiopulmonary activity associated with deep non-REM sleep are optimal for the brain’s waste removal processes. As toxic protein elimination in the brain happens while we sleep, it further supports the connection between sleep, aging and Alzheimer’s disease. Current evidence supports the probability that although sleep generating capacity is impaired in older adults, the need for sleep remains high. Sleep therapy, or other clinical approaches that boost the quality of sleep, may enhance the proper function of the glymphatic system, responsible for the brain’s housekeeping. For those who frequently have trouble sleeping, it may be time to consider the effects of sleep deprivation on daily life, as well as long-term cognitive health. Despite many studies, the science of sleep is still largely a mystery. However, we do know that sleep is essential to healthy body functioning, and appears to be critical for maintaining brain health, memory consolidation and learning ability. Science tells us that sleep is vital for rest and recovery and, quite possibly, a reduced risk of degenerative brain diseases. 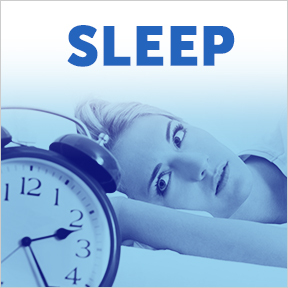 Sleep Balance by Diamond Formulations: Highly recommended by our customers, Sleep Balance is formulated to provide calming support for the central nervous system to encourage and maintain natural restful sleep, as well as discourage sleep disruption. Specific ingredients support restorative sleep, calmness and relaxation and aid in sleep/wake cycle regulation. Free of wheat, yeast, soy, gluten, animal or dairy products, fish, shellfish, peanuts, tree nuts, eggs and artificial colors, artificial sweeteners and artificial preservatives. Non-GMO kosher formulation.